Bantry will be the venue for the final round of the 2015 Triton Showers National Rally Championship this weekend when it hosts the Westlodge Hotel Fasnet Rally, which gets underway on Sunday morning. Top seed and former winner of the event Daragh O'Riordan will be looking to make amends following a disappointing outing on the recent Cork 20 Rally which saw him slip off the road while battling for the lead in his Ford Fiesta World Rally Car. With this year's national title already secured by Donagh Kelly, some crews have elected to miss the final round of the season however O'Riordan's path to victory may not be as straightforward as you may imagine. Alan Ring starts at number 2 in his Melvyn Evans run Subaru and after a number of strong drives this year including a win in the Circuit of Kerry Rally, Ring cannot be discounted. Either can number 3 seed Roy White. 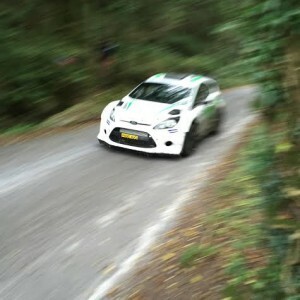 White made his World Rally Car début on the Cork 20 a few weeks ago and impressed with a promising turn of speed before putting the car off the road on the same stage that saw O'Riordan's demise. White has been a stalwart of the national series for the past number of years in his MG ZR and the move to bigger machinery is a serious statement of intent by the Tipperary man. Kevin Kelleher will run at number 4 in his Subaru World Rally Car while another Subaru World Rally Car will wear number 5, that of championship sponsor Kevin Barrett. Kevin's son Paul will also compete this weekend in a Group N Subaru seeded at number 22. The rest of top 10 contains a mouthwatering 2 wheel drive entry with Declan Gallagher (Toyota Starlet), Daniel McKenna (Toyota GT86) and a trio of Mark 2 Escorts piloted by Jonathan Pringle, Chris Armstrong and Gary Kiernan. Armstrong and Kiernan are both nominees for this year's Billy Coleman Young Rally Driver of the Year Award. Aidan Wray will start as the top Group N seed in his Mitsubishi but will face tough competition from Clonakilty man David Guest, in another Mitsubishi who arrives to Bantry on the back of some impressive recent results. Other drivers placed throughout the entry who could spring a surprise are Killarney's Rob Duggan in a Peugeot 208 R2 and a host of Honda drivers including Vincent McSweeney, Cal McCarthy, Stephen Carey, David Fleming and Bernard Foley. James Bradley and Maria Kehoe head a junior entry bristling with quality including reigning Junior National Champion Cormac Phelan and newly corner Irish Tarmac Junior Rally Champion, John O'Sullivan.